Ideas for Christmas presents - why not give gifts of special cufflinks and accessories, conveniently posted worldwide for you. What a wonderful time of the year! Christmas is such a special occasion. Parties and presents, festive fun and good cheer! 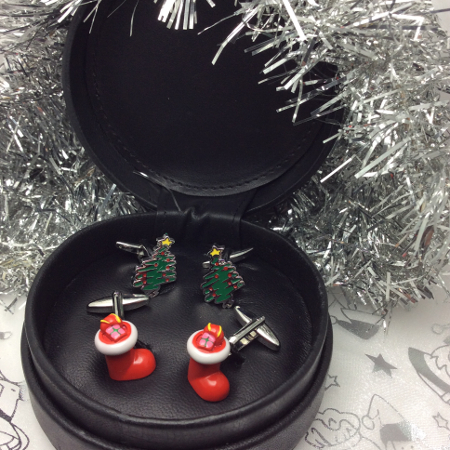 Our Cufflinks and accessories are fantastic to wear at any time of year, and especially so around Christmas. Here are some Christmas themed cufflinks, lapel badges and gift sets, as well as a curated cross-section of gift ideas chosen from the over one thousand items that we have available from stock. With prices ranging from £4.99 to £39.95 we think you'll find some ideas here for everyone.